Charles D. Lummas was born in El Campo, Texas, in 1945. He received his Bachelor of Business Administration Degree from the University of Texas at Austin. He received his Doctor of Jurisprudence Degree from the university of Texas Law School in 1968. He was licensed by the State Bar of Texas as an attorney in 1968. Mr. Lummas is a member of the Johnson County Bar Association (President, 1978),State Bar of Texas and Texas Association of Bank Counsel. Mr. Lummas was a member of the Board of Director of the State Bar from 1989-1992. (representing District 76 covering Johnson, Ellis, and Hill Counties). He is a Life Fellow of the Texas Bar Foundation. Mr. Lummas served as a Special Agent for the Federal Bureau of Investigation (F.B.I.) from 1968-1973. Mr. Lummas has served as President of the following organizations: Cleburne Crimestoppers, Ink. ; Layland Museum Board of Directors; and Johnson County American Heart Association. 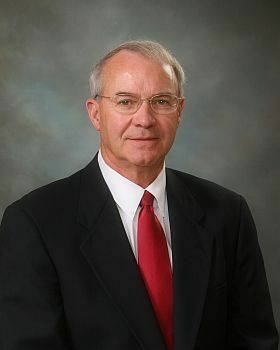 Mr. Lummas has served on the Board of Directors of the following organizations: Trans Texas Title, Inc; Texas Ranger Museum Library Board (Waco, Texas); Cleburne Little Dribbles Basketball; Cleburne Chamber of Commerce; Crimestoppers; Stewart Title Company; Rotary Club; Layland Museum; Hill College (Liaison Board Member – Johnson County Representative). Mr. Lummas practice areas include Real Estate, Wills and Probate, Banking and Business Law. Mr Lummas is married to Sandra Yates Lummas and has two Children, Mark and Kimberly.